Chanderi - A City That is Home to The Famous Chanderi Sarees And Rich History. Chanderi is a town surrounded by exotic hills, lakes, and forests, and is incredibly famous for its Chanderi saris and historic monuments. Especially, the great Jain monuments and their fascinating culture is what makes Chanderi such a hit among travellers. 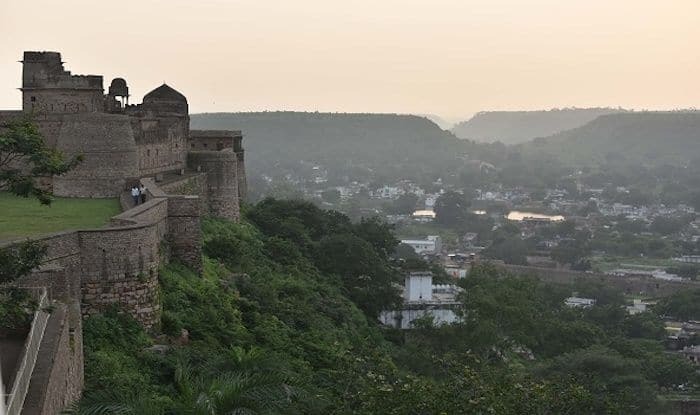 One of the richest cities in Madhya Pradesh in terms of history, the forts, palaces, museums here have almost gained the status of historic important landmarks. A trip to Chanderi is incomplete without visiting its archaeological monuments, built over different periods in time. Home to around 1200 baolis (step-well), a large number of 9th – 10th century Jain temples, and a number of Jain palaces – Chanderi attracts thousands of Jain pilgrims from all over the country every year. Some of the other popular attractions in Chanderi are Babur’s Mosque, Khuni Darwaza, Badal Mahal, Singpur Mahal, Jageshwari Temple, Kati Ghati Gate, Shahzadi ka Rouza, and Parmeshwar Tank. These are the best places to explore the beautiful history of Chanderi – they give an excellent insight of how three major religions (Hindu, Islam and Jain) thrived in this iconic city. Among the Jain temples the must-visit ones are Shri Chobisi Jain Temple, Shri Khandargiri Jain Temple, and Shri Thobonji Jain Temple. Some prominent Jain centres that one can visit here are Gurilagiri, Aamanchar, Bithala, Bhamon, Khandargiri, Thuvanji, and Bhiyadant. You must definitely visit the famous Chanderi Fort; currently in ruins. It stands at a height of 71m and was constructed during the Mughal period. If you want to relax and rejuvenate, take a boat ride in Tighra Dam, a freshwater reservoir on the Sank River. Also shop to your heart’s content at Sarafa Bazaar. Satiate your hunger with kebabs, bhutte ki kees, mawa-bati, khoprapak, and malpua served at many food joints in the city. The nearest airports to reach Chanderi are in Bhopal (220km), Gwalior( 250km), and Khajuraho (250km). All these airports are well connected to Delhi and other metropolitan cities of India.